Christopher L. Lucas is a Member in the Banking industry group, focusing primarily on commercial real estate, banking and finance matters. He practices out of the Firm’s office in Evansville, Indiana. Chris represents clients in a variety of commercial transactions, with specific experience in commercial real estate and retail shopping centers. 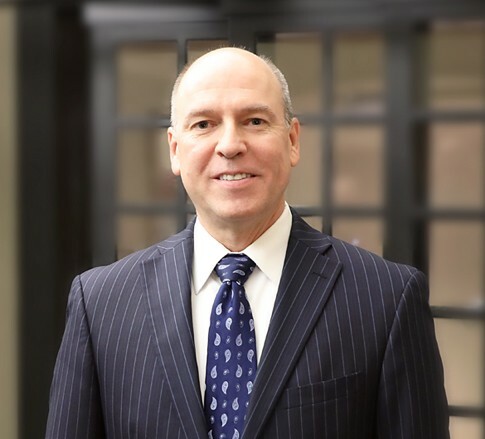 In his over 30 years of practice, he has assisted clients in the acquisition and disposition of more than 120 shopping centers consisting of more than 18 million square feet of retail space. He obviously has a substantial amount of experience in successfully negotiating deals and closing transactions. Chris is a licensed title agent and assists clients with real estate and title services, business counsel, banking and finance, contracting, and construction law. He represents owners, buyers, sellers, tenants, landlords, and lenders on a variety of issues relating to the acquisition, disposition, development, leasing, and financing of real estate. He also advises clients on a variety commercial and business transactions, including acquisitions, sales, mergers, leases, and loans. Chris counsels clients regarding business entity formation and provides legal services to owners, contractors, and subcontractors on construction and development issues. In his spare time, Christopher enjoys running, triathlons and coaching his kids’ sports teams. He also enjoys salt water fishing and scuba diving, which requires dedication and planning considering he lives hundreds of miles from the nearest body of salt water.